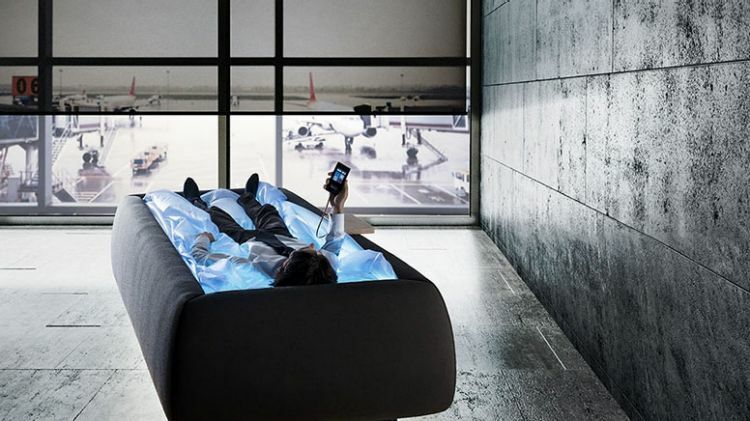 Hi every body , today we talk about the future one of the vision in decor world ,If you’ve been looking for a new way to chill out at a home without, say, a bath or a personal isolation tank, then this ‘drypool’ might be just your bag. Presented at Milan’s Salone del Mobile last month, the Zerobody is a joint effort from Starpool, a spa company, and Neocogita, a brain wellness research company. It was designed by Italian designer Cristiano Mino. It is, arguably, the next stage of evolution for the humble and slightly dated waterbed. 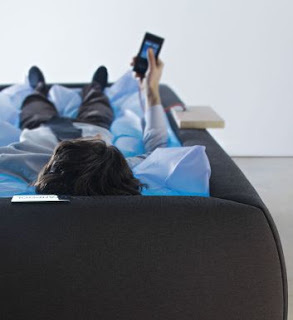 Instead of just lying around sloshily napping, you can be enveloped in a warm bladder of water , while remaining dry. 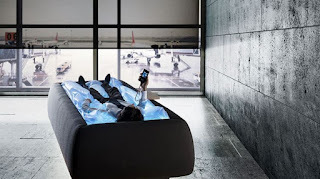 The general gist is that the Zerobody is designed to create the sensation of floating somewhere warm, and it comes with adjustable lights as well as a Nu Relax phone app with specially designed meditation programs to listen to. 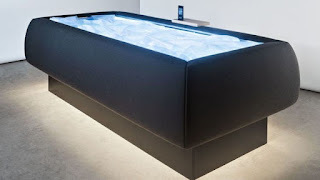 According to the website Contemporist, while using the Zerobody “the body stops regulating body temperature and gravitational structure” and is free to create endorphins and generally bliss out. Whether or not that’s the case, having a quiet lie-down in a warm, comfy and fairly stylish bed-like piece of furniture sounds like a recipe for having a nice time, anyway.